Americans are simultaneously becoming more secular and more religious. America is changing from an essentially single-faith culture into a two-faith nation. Fifty years ago, 92 percent of Americans claimed to be Christian, and only 2 percent claimed “no religion” whatsoever. Today, only 67 percent of Americans claim to be Christian, while 23 percent claim “no religion.” The share of Americans who do not affiliate with a religion is now the same as those who identify as evangelical Protestants or Catholic. Americans claiming “no religion” are often called “nones” because of how they answer the question, “What is your religious tradition?” They are becoming a powerful force in United States’ culture and politics. But America is not just becoming more secular. It is simultaneously becoming more secular and more religious. 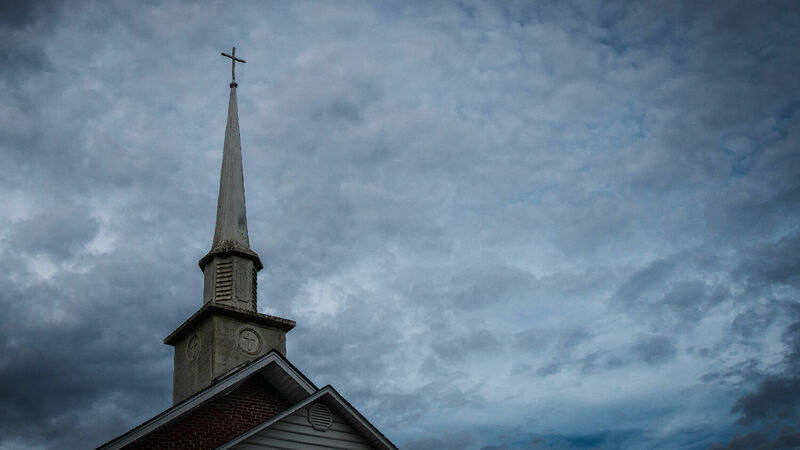 The rise of the “nones” tracks closely with the decline of old-line Protestant churches like the Baptist Church, the Episcopal Church, the Lutheran Church, the Methodist Church and the Presbyterian Church. Both Catholics and evangelical Protestants in the United States are holding steady at just under a quarter of the population, according to the latest statistics from the General Social Survey. Since evangelicals are often more zealous about religion than those from older Protestant denominations, the U.S. is becoming polarized as Christians become more devout and “nones” become more secular. This polarization is having profound political effects. During the 2018 U.S. midterm election, 75 percent of white evangelical voters cast a ballot for the Republican Party in 2018 and 70 percent of the “nones” cast a ballot for the Democratic Party. An analysis of exit poll data indicates that 70 percent of Republican voters are evangelical Protestants or conservative Catholics. Meanwhile, 65 percent of Democratic voters are old-line Protestants, nones or non-Christian religions. It was easier to keep religion and politics separate when America was predominantly a Protestant nation concerned about protecting individual rights. But now that the Republican Party is seen as representing “Christian America” and the Democratic Party is seen as representing “secular America,” battles over religious freedom and other cultural issues are becoming heated. “Behold, I will set a plumbline in the midst of my people Israel: I will not again pass by them any more: And the high places of Isaac shall be desolate, and the sanctuaries of Israel shall be laid waste; and I will rise against the house of Jeroboam with the sword” (verses 8-9). Trumpet editor in chief Gerald Flurry explained the significance of this end-time prophecy in his article “Who Is the Modern-Day Jeroboam?” He elaborated on how God measures America with a plumbline during the administration of this King Jeroboam-type leader. Then He lays the “sanctuaries of Israel” desolate for rejecting His law. These “sanctuaries of Israel” are religious churches that reject God’s message after God measures them. Based on Amos’s prophecy, we know the culture wars between Christian America and secular America will intensify. But only God can solve this problem, and He will only do so once people humble themselves, pray, seek His face, and turn from their wicked ways (2 Chronicles 7:14). To learn what the Bible teaches about true repentance, request a free copy of Repentance Toward God. Copyright © 2019 Philadelphia Church of God, All Rights Reserved.